When it comes to getting into better shape and health, you may need a personal trainer to assist you. By following a strict diet and exercise program, you will have a much better chance of getting your body into the shape you want it to be. Knowing some of the many benefits of having a personal trainer may be the motivation you need to get one soon. The person you enlist to help you with your fitness goals will be able to provide support. This can be helpful if you are getting ready to binge or go off your diet. By having another person that you can call and talk to, this can help make it easier for you to stay on track. Be sure to establish the hours or times that are allowed to call or even email your personal trainer. By having this set in stone, it will help avoid any confusion at a later date. One of the hardest things for you to do may be to get to the gym on a regular basis. However, if you have a person that you’re accountable to, this can make this more fun and less of a chore. Your personal trainer can also show you new exercises to do and better ways to keep track of what you eat. 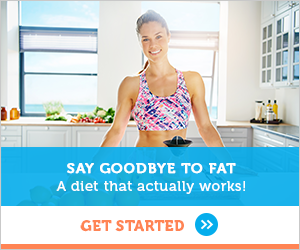 This will assist you in losing more weight or maintaining your weight better in the long-term. It may be difficult for you to understand what you need to eat each day to help you lose weight. Counting calories may not be the easiest thing for you to do and understanding how many you need for weight loss can be a challenge. Your personal trainer is certified to help you with choosing the right foods for you to eat for weight loss. You may additionally be provided with a menu of foods you should eat each day for each of your meals. This will make it much simpler for you to stick to a diet regimen and work to lose the weight that you need to for better health. If you’re trying to lose weight on your own, you may not stick to your regular weigh-ins as you should. It can simply be too tempting to have another piece of cake or pie and put off weighing in until a later date. However, if you have a personal trainer who is helping you with your weight loss goals, you will have a much greater chance of sticking to these and not eating an extra piece of cake. When you know you have a weigh-in coming up, you will want to be more diligent about what you eat. Engaging a personal trainer in your weight loss journey is sure to pay off huge dividends for you. Being able to be in better health is always one of the best ways to improve your quality of life and attitude at the same time! Thank you so much for these! I have been wanting to get a personal trainer since I have no idea what workouts I’m doing and what workouts are really good for me, and if I’m even doing it correctly. Especially that I’m on the ketogenic diet. Thank you for your comment. I hope it helps. Good day!